Piano di Sorrento, June 9th 2012. I would like to say a massive Thank you to Exclusive Italy Weddings and in particular Martina, for helping us organise our wedding day. From day one when I contacted Exclusive Italy Weddings they were quick to reply, very helpful and a delight to deal with. 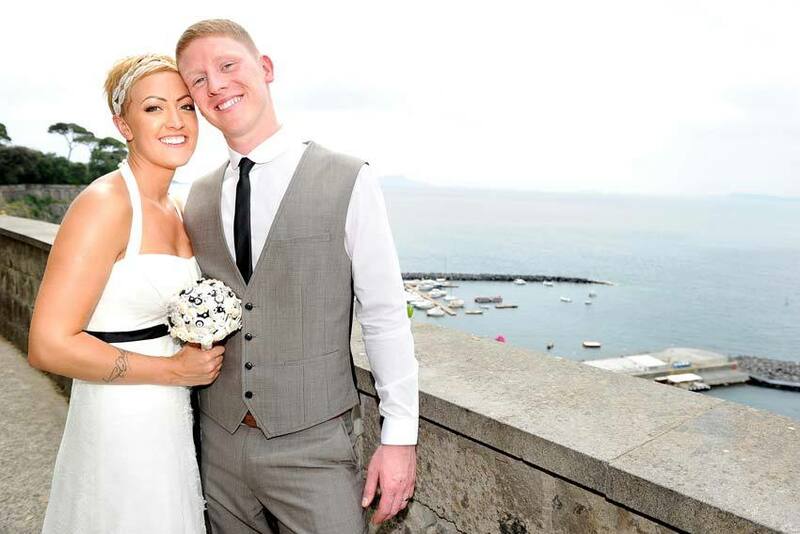 I would recommend the company to anyone who is thinking of getting married in Italy, they were all fantastic. Our wedding day was absolutely perfect in every way and could not have gone any better; we will remember it for the rest of our lives. Sorrento is absolutely stunning and romantic, Villa Fondi was Idyllic and Restaurant Da Piero was by far the best restaurant in Sorrento. I brought along my own photographer from the U.K called Shirlaine Forrest, who added to the brilliance of the day and took the most fantastic photographs. I cannot say enough lovely things about the service that we received and we will be forever grateful. We will definitely be back to Sorrento in the future.